RQF is an abbreviation you may have heard about tin relation to regulated qualifications. During 2017, awarding organisations will be been slowly changing from QCF to RQF qualifications and you may be wondering what this means? In essence, this means that awarding organisations have more liberty to design their own qualifications and to give them an appropriate title whether it is an Award, Certificate or Diploma. The Office of Qualification and Examinations Regulation (Ofqual) are changing how courses are designed and mapped. This means that regulated qualifications that are certified through ProTrainings will change from ‘Qualifications and Credit Framework (QCF)’ to ‘Regulated Qualification Framework (RQF)’. The first course on our records that will change to the new framework, on the 1st May 2017, will be our one and two day paediatric qualification. 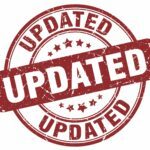 This change will see adjustments and minor changes to our content on paperwork and course PowerPoints, so rest assure that you will receive training that is mapped, designed and confirmed to meet current regulatory requirements. This transformation will not have a major impact to you in principle, as the content of the qualifications will not change beyond any modifications which would normally be made as part of an ongoing review and improvement process. All certificates for regulated qualifications will continue to bear the TQUK and Ofqual logo, whilst your certificate is still valid and recognised if it bears the letters QCF. All other regulated qualifications will change to RQF when more information from the awarding organisation is provided. We look to implement this at our earliest convenience and hope that this change will occur as demand increases. The final changes will all be made by the end of 2017.